OK, I like all types of movies. One of my favorites is THE BLUES BROTHERS. I realize the plot is slim and the story just doesn’t always follow logic [like why were The Good Ole Boys so angry at them? They arrived so late that they couldn’t have played at the bar anyway]. But, the movie makes me laugh. Jake and Elwood are one of the best teams in all of movies. 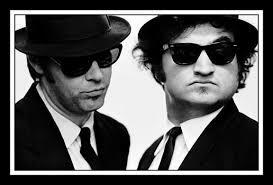 It was never the same after Belushi died and there should have never been a BLUES BROTHERS 2000. No Jake, no movie. But what is done is done. The music in the film adds to the greatness. In addition to the legends listed above, the band that backed up Jake and Elwood are some of the best in the world. Steve Cropper, Duck Dunn, Matt ‘Guitar’ Murphy, Tom’ ‘Bones’ Malone, etc… So damn good. Also — all the great cameos and actors throughout. I will post more in the future, but wanted to get this strand started. eBooks are all the rage. The next step in the 500 year history of the book. This is a bold new world and people are confused. The future is not so certain. What % of books are currently eBooks? (most put it at 2%). What % will it be in a year? 2 years? 5 Years? 10 years? When will the eBook surpass the pBook? Will it ever happen? I don’t have the answers. But then no one really does. We all have guesses. We all put the facts together, place our bets and hope we are on the right path. It is important to be engrossed in eBooks, to accept them as another format of reading. If the consumer chooses to read an eBook, why should the publishers refuse to provide? Too many take too slow a path, too cautious. One day, they will wake up and realize that the readers will have left them. Hopefully it won’t be too late. “Ten years will pass me by, no one told me when to run, I missed the starting gun.” ——– Time by Pink Floyd. A interesting side note. This market is nearly impossible to get reliable statistics given the main players are keeping information confidential. I understand their reasoning, but one day it will all be open. 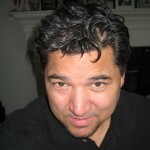 Many discussions revolve around the Kindle, Sony Reader and a possible entry by Apple into the mix. That is all great and each has it’s merits. But right now, over 60% of the eBook readers do so on laptops and computers. The St. Louis Cardinals have won more World Series championships than any other National League team. They have won 10 times and played in 17 Fall Classics. 1926; 1931; 1934; 1942; 1944; 1946; 1964; 1967; 1982; 2006. Abbey Road was the last Beatles album recorded. But Let It Be was the last Beatles album released. 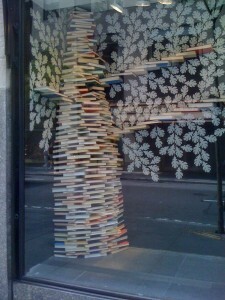 Yes, physical books still make great decorations. 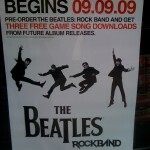 Saw this poster in a window of a video game store. I recently read in the NYT that the Beatles are the only group listed as a favorite in every age group. They were in the top 5 with teens all the way to seniors. They transcend age and have done more to break down generation gaps than possibly any other single force in the past 100 years. This poster illustrates this observation. It will be the top selling game this Fall. My favorite Beatles song? So hard to pick, but REVOLUTION 1 is near the top. Plus, all books about the Beatles sell. This is my first post of my new web page. Originally I thought I would come up with something profound. But that would be forced. I believe true inspiration and creativinty can not be programmed or forced. It has to be nurtured and just allowed to happen. 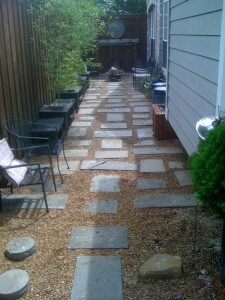 I do believe that one can set up situations and circumstances to help foster that creativity. This web site will be devoted to my work. But I also believe that you must enjoy your work to truly be good at it. So I love books, I love writers and I love booksellers. All of it comes together in what I am doing.